The Australian Transport Safety Bureau (ATSB) encourages airlines to review crew guidance to ensure the risk of windshear associated with thunderstorms and dry microbursts is effectively managed. This advice follows a hard landing of a Fokker 100 aircraft in Australia. On 19 October 2012, the Fokker 100 operated on a charter flight from Perth to Nifty, Australia. 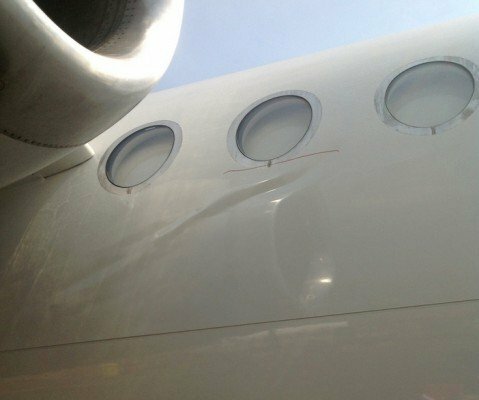 While the flight crew were positioning the aircraft for a 5 NM (9 km) straight-in approach into a slight headwind, they received a windshear caution. In response, the crew increased the approach speed and extended the speed brake to stabilise the approach. The approach continued and apart from a few minor speed variances, the conditions seemed relatively benign. The ATSB found that when the aircraft was on approach to land at about 80 ft above ground level the flight path almost certainly coincided with a strong outflow of a dry microburst. As the aircraft was in the final stages of the approach and descending from 80 ft to 30 ft above ground level, the airspeed dropped from 133 kt to 110 kt and the rate of descent increased to about 1,000 ft/min. The loss of airspeed occurred over a period of 3 seconds and by touchdown, the aircraft was being affected by a 32kt tailwind. The aircraft touched down on the runway threshold, almost 300 m short of the normal touchdown point, and bounced. The high rate of descent resulted in a hard landing with significant damage to the aircraft. None of the crew or passengers were injured. The ATSB found that when the aircraft was on approach to land at about 80 ft above ground level the flight path almost certainly coincided with a strong outflow of a dry microburst. A dry microburst is a column of rapidly descending air that can produce damaging and divergent winds when it reaches the ground. They are initiated by evaporative cooling and are generally associated with high-based cumulous cloud. The scale and suddenness of a microburst makes it a great danger to aircraft. This resulted in a performance-decreasing windshear that led to the serious drop in airspeed, high sink rate, undershoot and a hard landing. As a result of the occurrence, the operator sought to improve the weather information available at aerodromes serviced by their Fokker 100 fleet and modified its simulator training program along with consolidation of the windshear procedures and guidance. The operator also provided additional guidance in the use of the flap following receipt of a windshear caution during approach and planned to introduce a new threat-based take-off and landing briefing model.